Ha\\\'penny bridge in dubli. Dublin landmark - ha\\\'penny bridge on liffey river. rows of colorful houses. 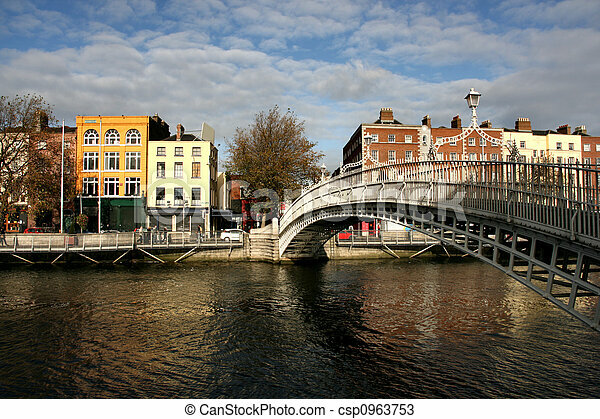 Dublin landmark - Ha\\\'penny bridge on Liffey River. Rows of colorful houses.